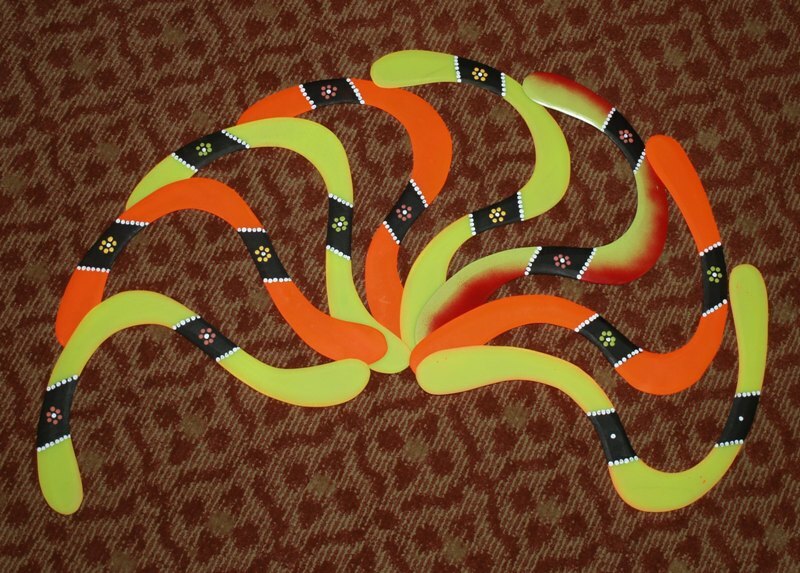 Just wanted to post a few photos of the long distance boomerangs I have finished lately. This one is 90% size Voyagers and Milpas Reapers made from 2.3mm G10 fiberglass. This one was a week later and has a wide assortment in both 2.3mm and 3.3 mmG10. The last two on the right are Tibor models. I finished painting these in my hotel room in Meriden CT which explains the use of the hotel carpet as a background.